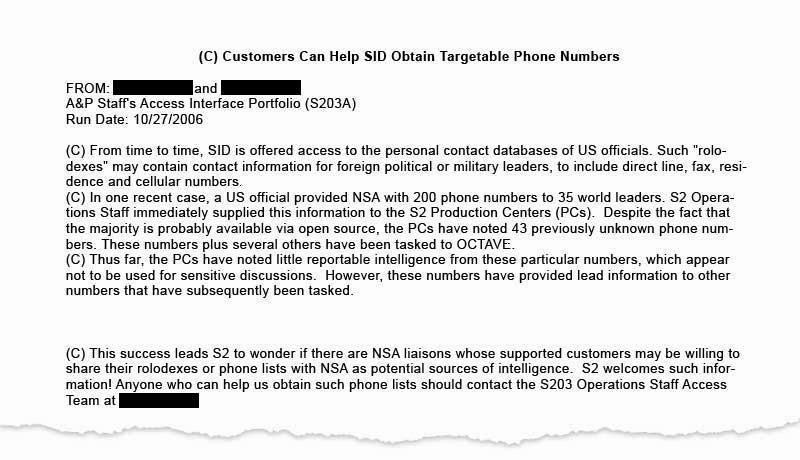 The confidential memo reveals that the NSA encourages senior officials in its "customer" departments, such the White House, State and the Pentagon, to share their "Rolodexes" so the agency can add the phone numbers of leading foreign politicians to their surveillance systems. The document notes that one unnamed US official handed over 200 numbers, including those of the 35 world leaders, none of whom is named. These were immediately "tasked" for monitoring by the NSA.